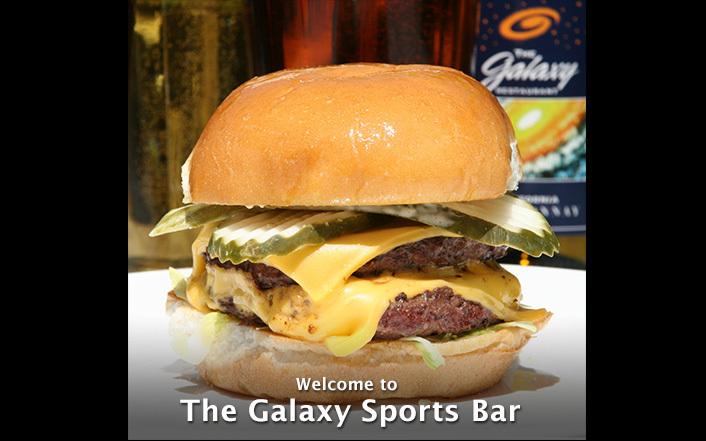 The Galaxy Sports Bar & Patio - Join us for lunch, dinner, or just your favorite beverage in our media sports bar in the round. Unwind or ramp it up with your family and friends while watching one of our 30 HD TV's broadcasting non-stop sports and other programming. 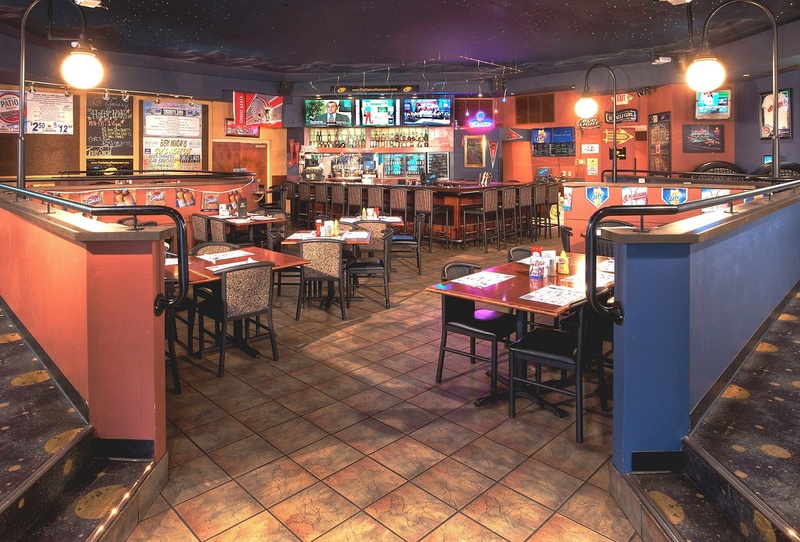 We are family friendly and you can choose from a full menu, including appetizers, sandwiches, entrees and daily drink specials. 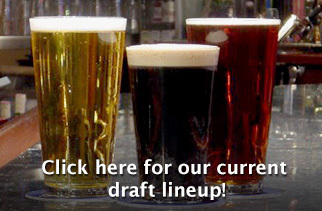 We feature 24 great draft beers, over 50 beers by the bottle, 25 wines by the glass, and a host of other specialty drinks including martinis and frozen concoctions. 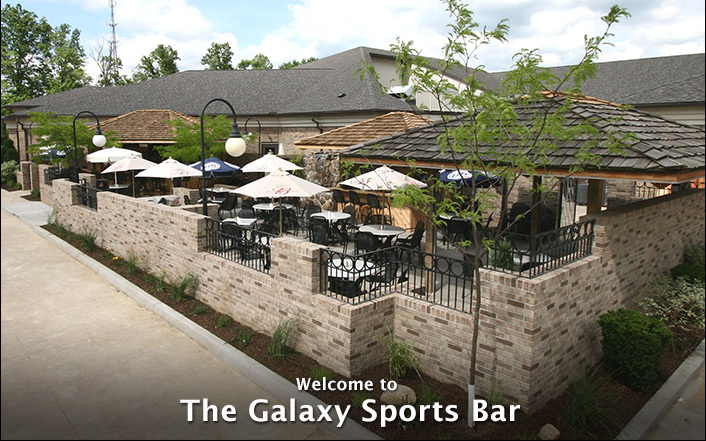 During the warm weather months, enjoy dining in an island-like atmosphere at our outdoor bar and patio. 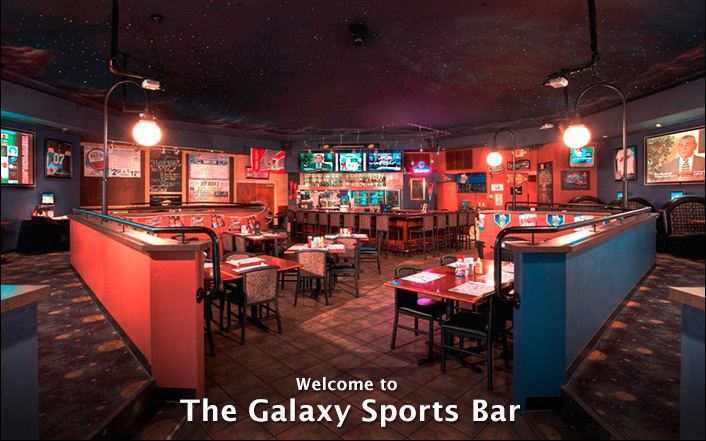 The Galaxy Sports Bar is truly a one of a kind destination for sports entertainment, located in Wadsworth, near Akron and Fairlawn, Ohio. Finished with toasted almonds and balsamic aioli. Fresh spinach, caramelized apples, pecans, and chevre sided maple apple vinaigrette. Baby Back ribs, served with plenty of BBQ sauce, crispy fries, and Galaxy coleslaw. 16 oz. Porterhouse broiled to order and sided with creamy mashed potatoes and sautéed asparagus. Alaskan Pollock dipped in Goose Island 312 beer batter, crispy fried, served with fries, coleslaw, tartar and lemon wedge.  Indicates tickets can be purchased online.